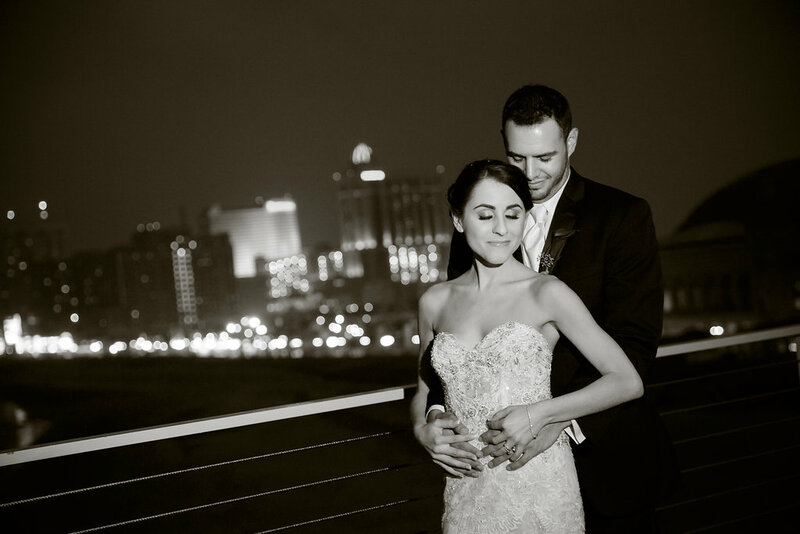 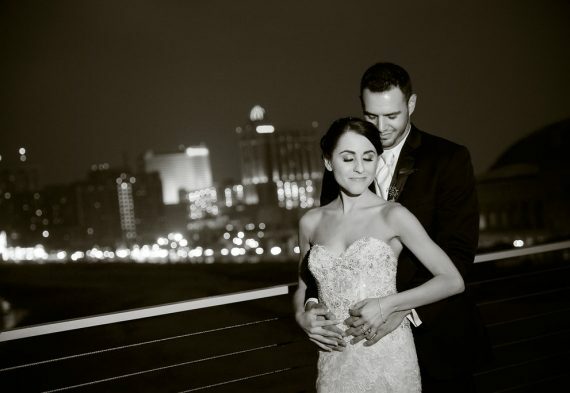 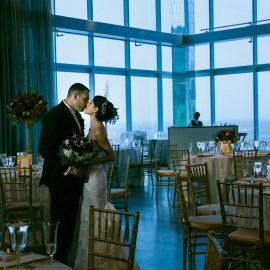 Guests arrived via Atlantic City Rolling Carts and entered One Atlantic to servers greeting them with Macie and Herbie’s signature cocktails – The Farmers Daughter, cleverly named since the Bride was just that. 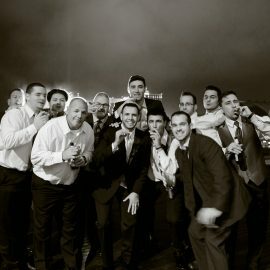 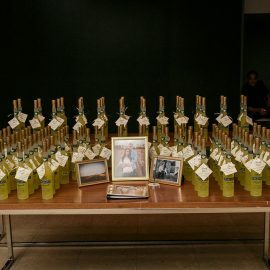 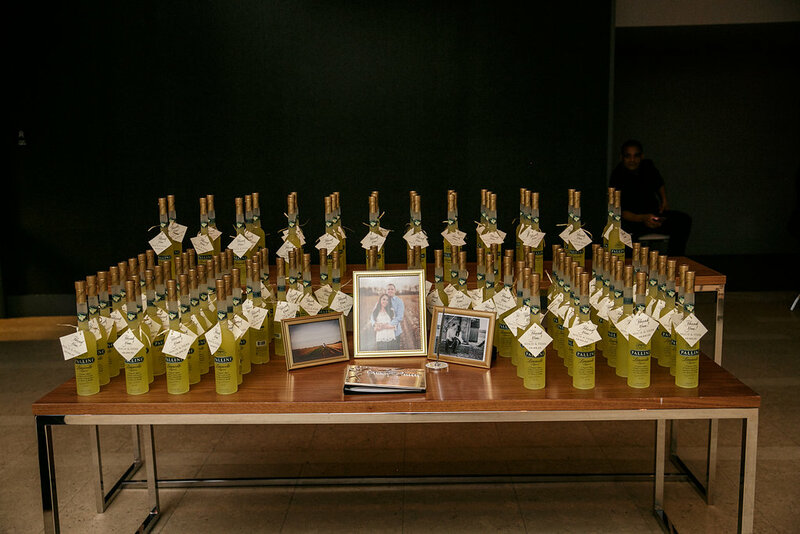 And the Grooms Cocktail – Apple-Y Ever After. 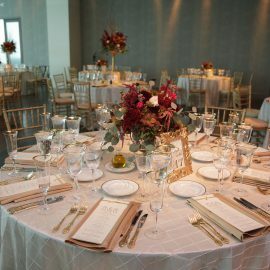 An elaborate Antipasti Display along with a plethora of other delicious bites circled the room. 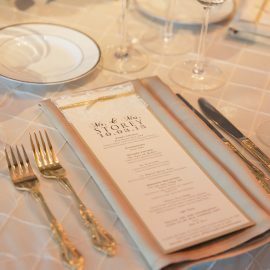 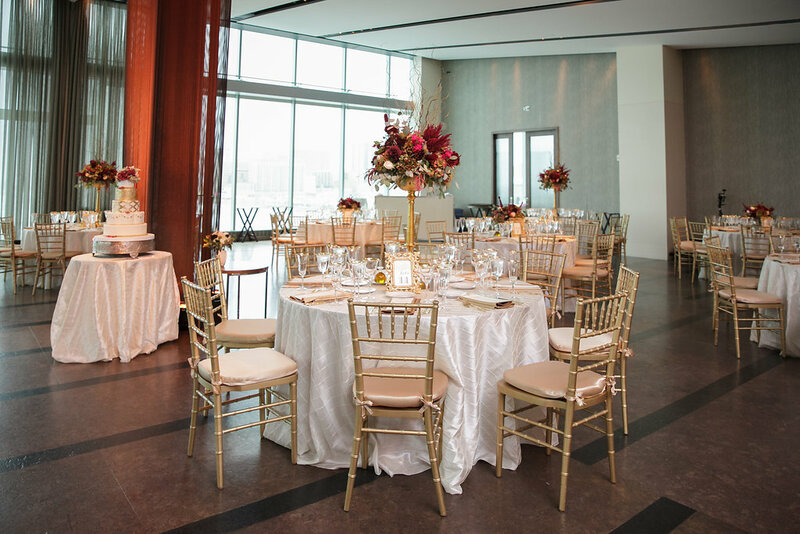 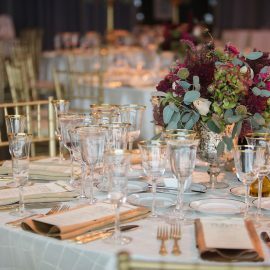 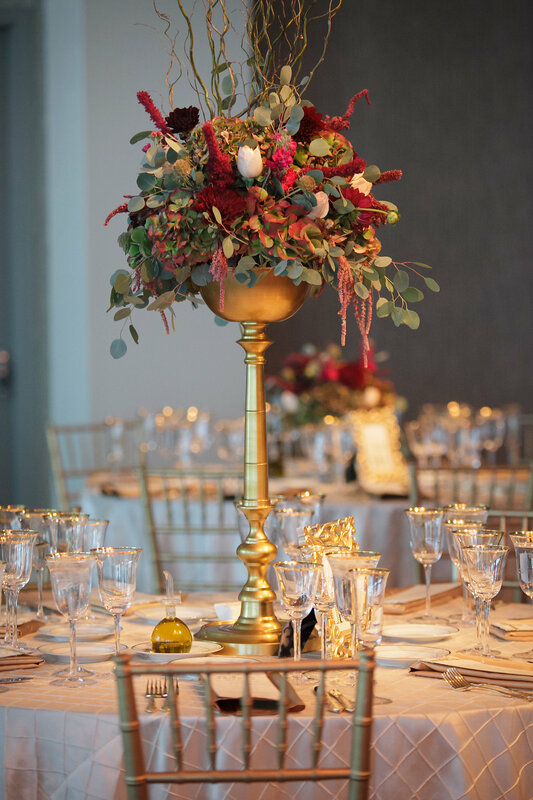 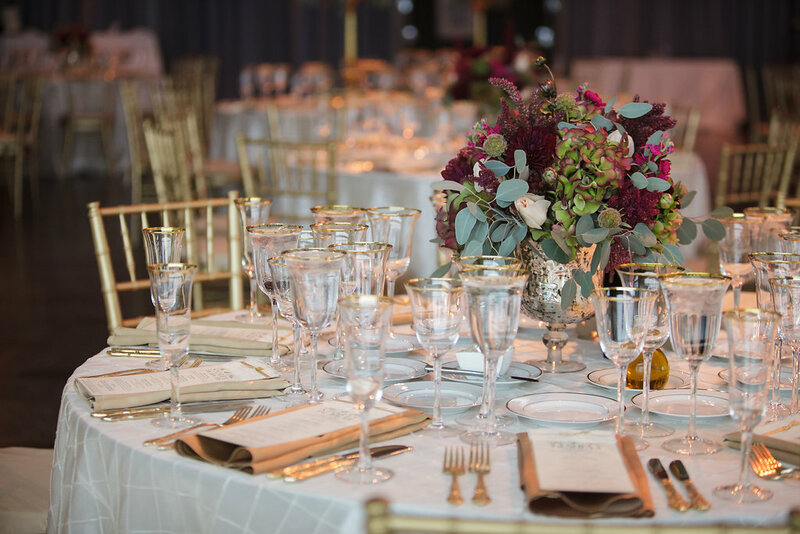 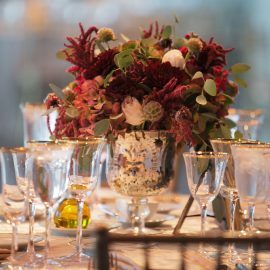 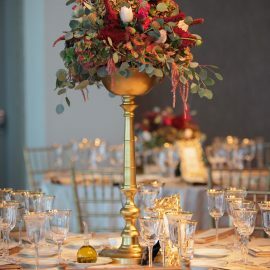 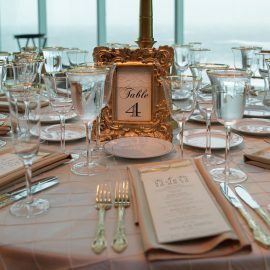 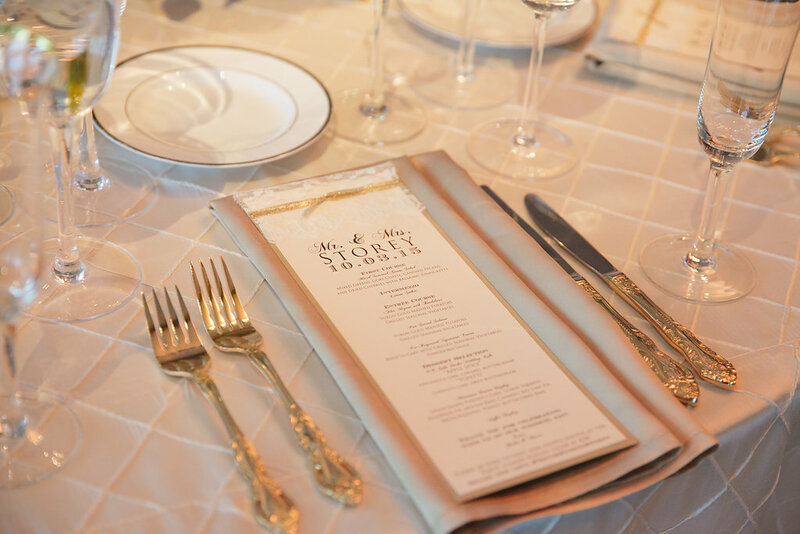 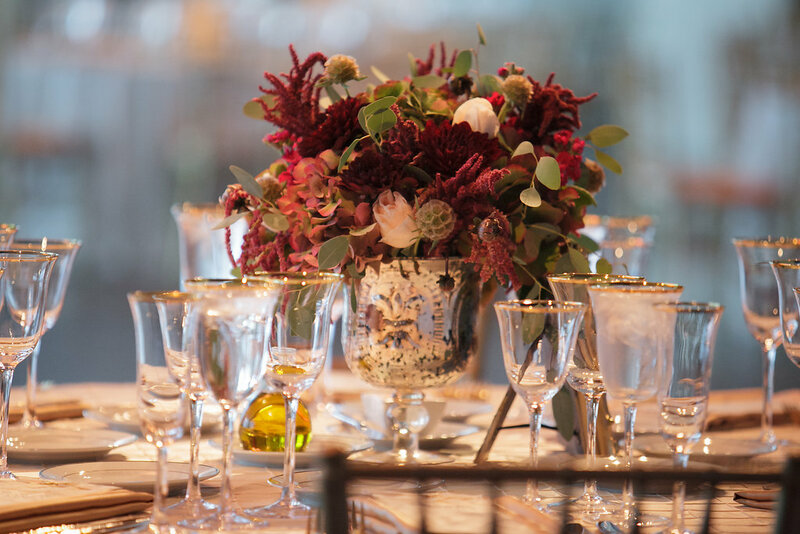 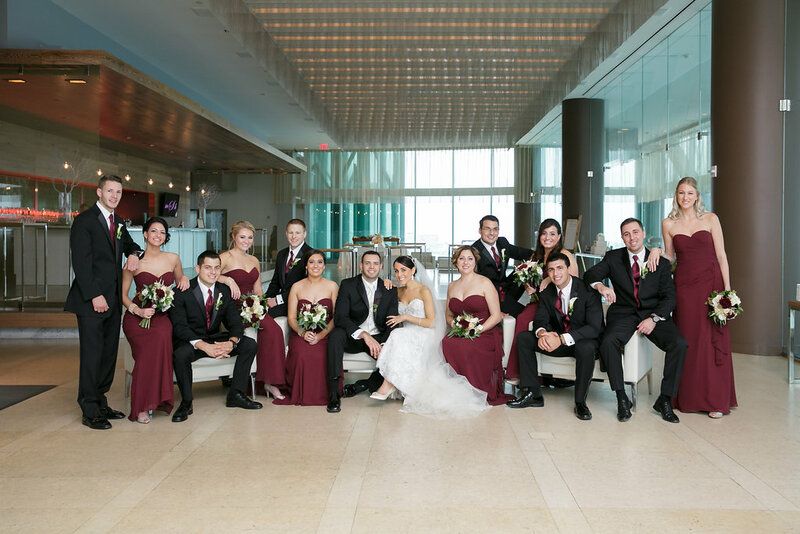 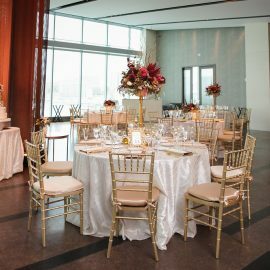 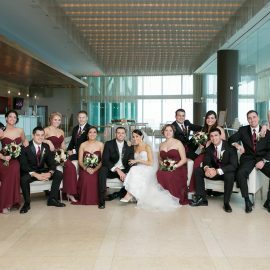 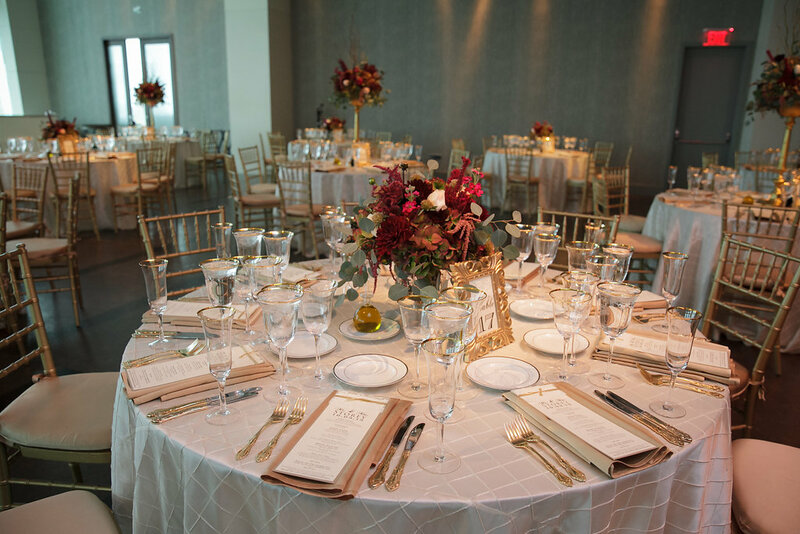 In the Atlantic room, the tables were donned with Pearl Ivory Pintuck Linens and Victorian Gold Satin Napkins. 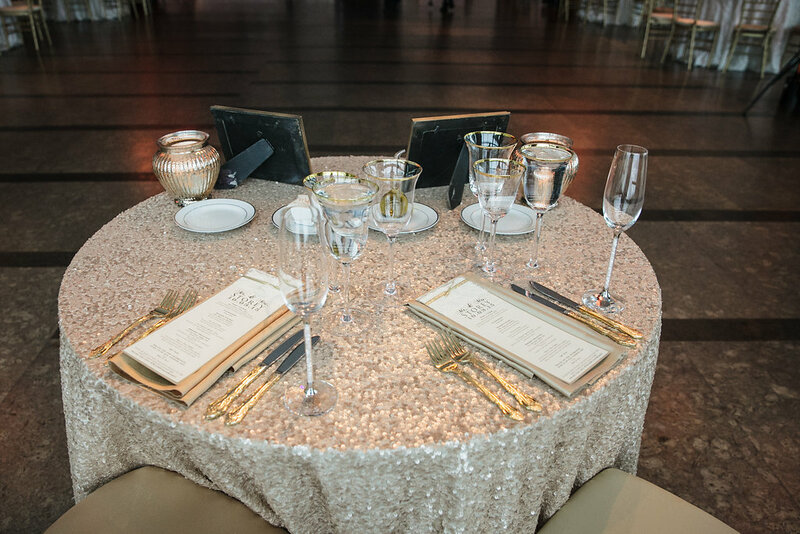 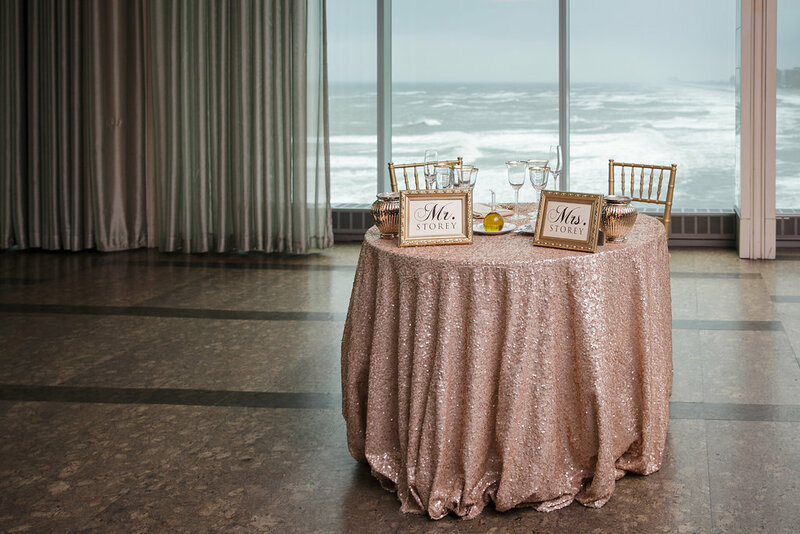 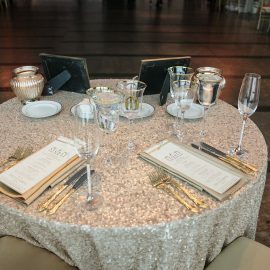 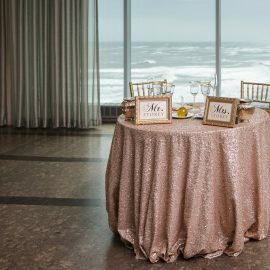 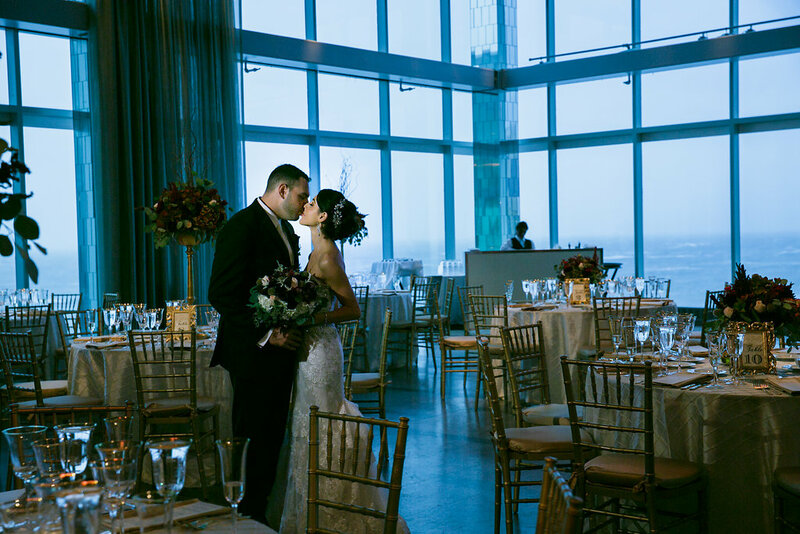 A Gold Sequin Linen added a gorgeous pop of sparkle on the sweetheart table. 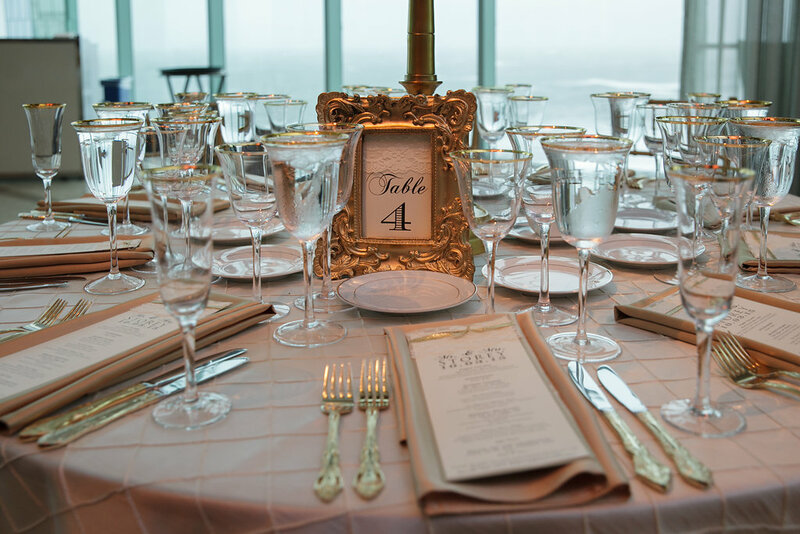 Gold Resin Chiavari Chairs with Victorian Gold Satin Cushions completed the look. 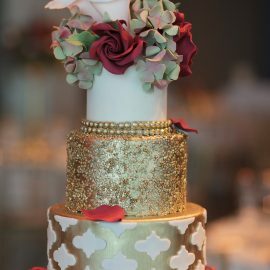 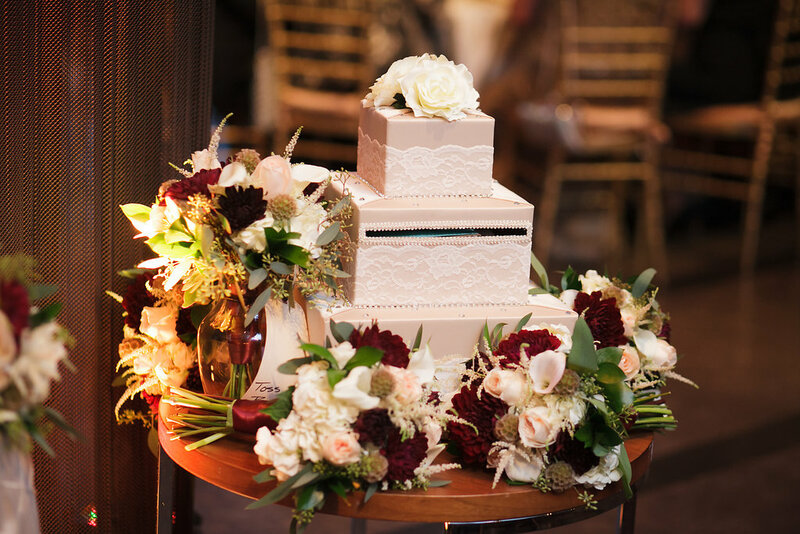 The Wedding Cake was a decoration in and of itself! 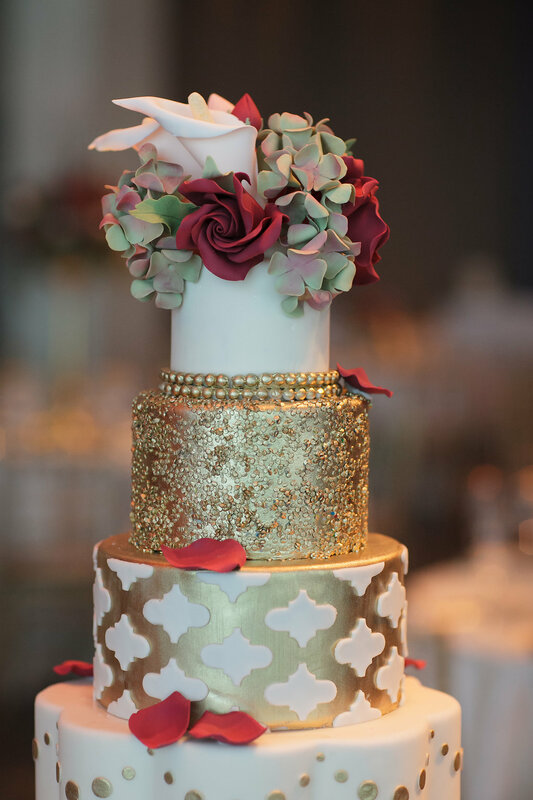 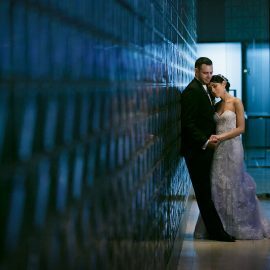 Darren from Ocean City Cake Studio out did himself with this one! 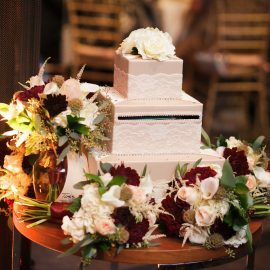 An applesauce cake with caramel buttercream was a perfect sweet bite for a fall night! 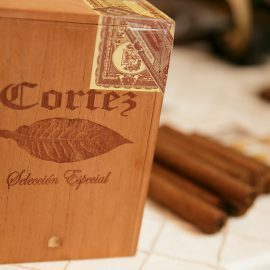 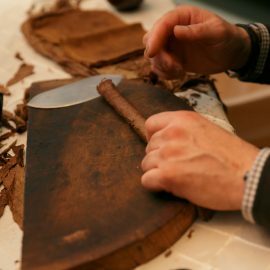 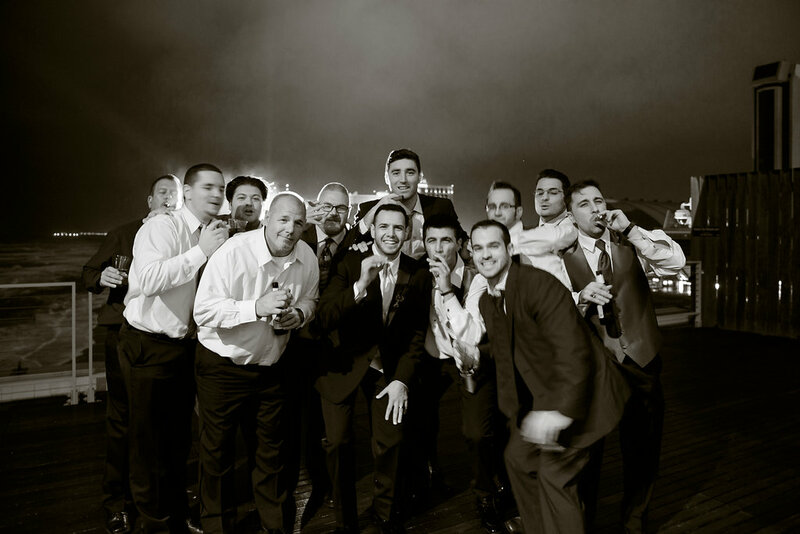 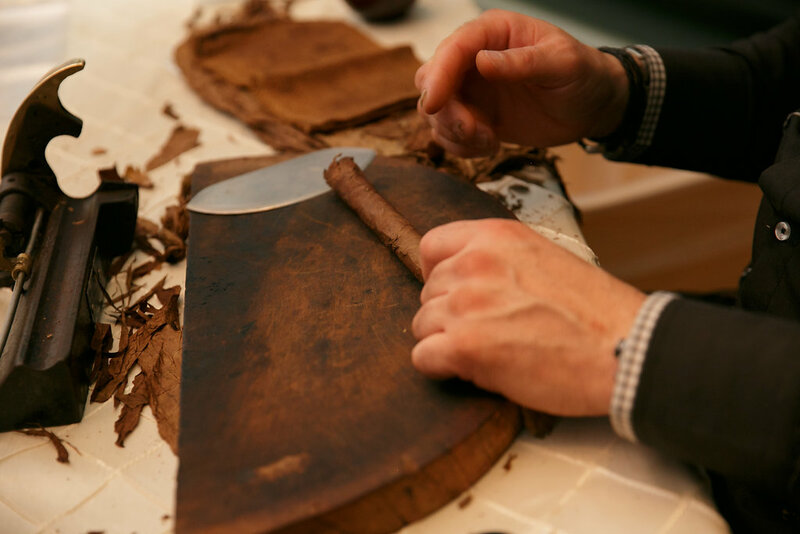 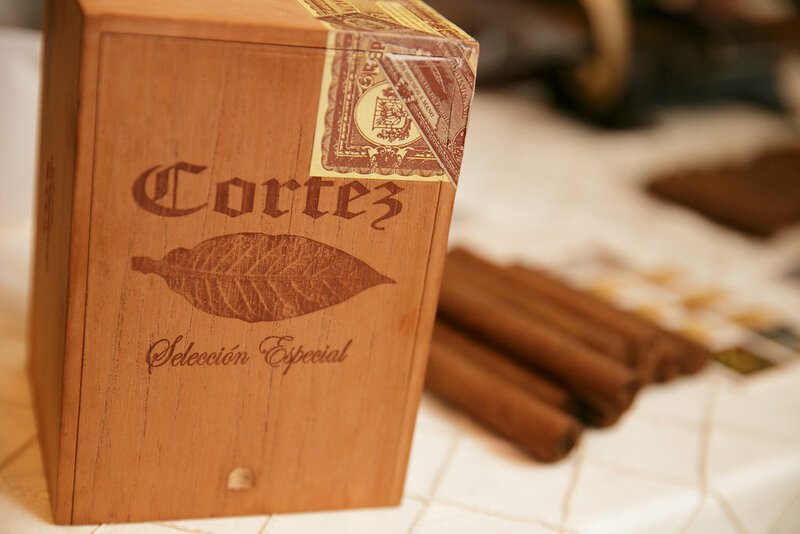 While the girls danced the night away, the guys were outside on the terrace overlooking the beach and Atlantic City Skyline, enjoying hand rolled cigars by Cortez.